Sometimes only a Thin Doormat will do. If there's not a lot of clearance under your door, browse the products on this page for the best selection. We have a wide range of sizes, colours and designs. 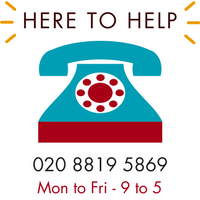 If you'd like advice, we're here to help: Talk to us about your needs on +44 (0)20 8819 5869 or contact us.